Happy Thursday!! 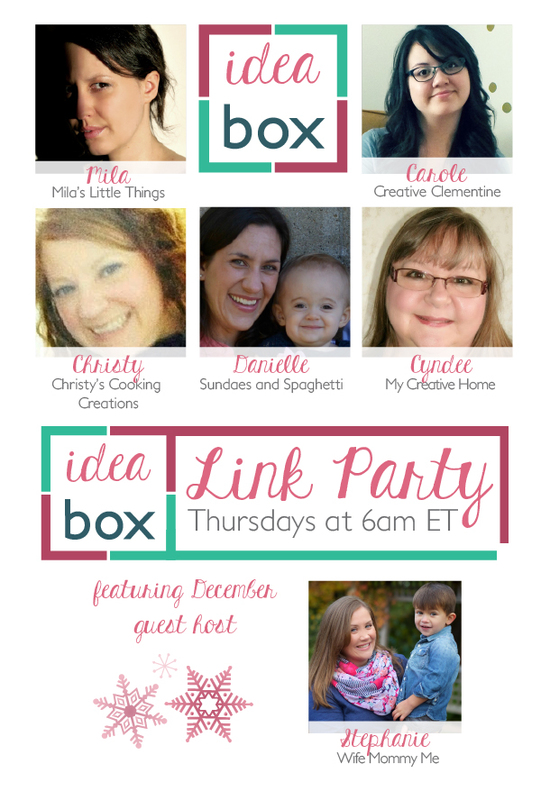 While I'm prepping for #babyclemington, I will be sending my regrets to the Idea Box Link Party. Hop on over to one of the co-hosts' blogs to join in on the party! We've arranged for a few guest-co-hosts to help pick up some of my slack---and I am SO happy to party with them! Holiday Mayhem, not for me!